There are wants and there are needs. The most wonderful time is when a want becomes a need and you get to buy something like this beautiful Kitchenaide Artisan Mixer. My baking gets done so much faster because I’m not standing with my hand mixer for what feels like forever and I can use that time to do other stuff like measuring out other ingredients. I love the attachments, and i got a free extra mixing bowl, two lids and a flat edged beater with my purchase. Happy me! I have to admit that one of my favourite things is that I got to choose the colour that I wanted from a whole range of gorgeous colours. 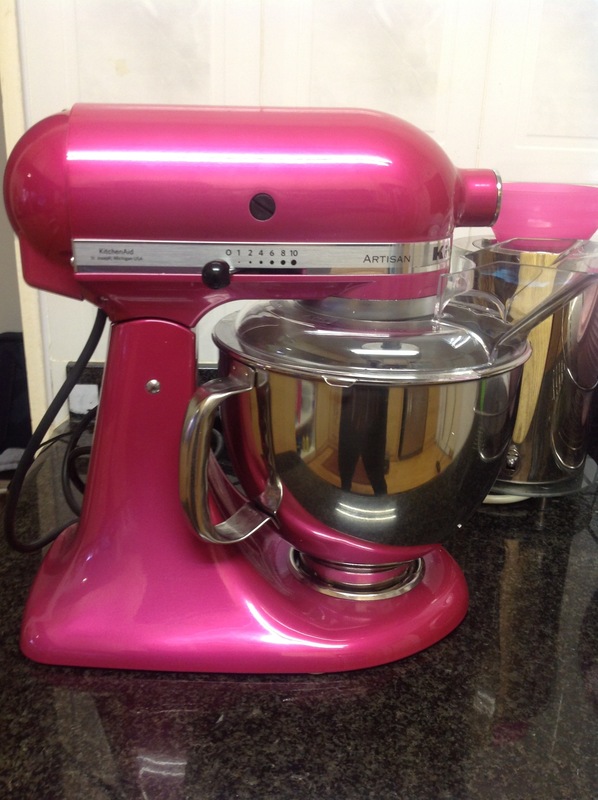 I mean who doesn’t want a hot pink mixer glamming up their kitchen. If you’re ready to make the leap, you can buy yours where I bought mine on Yuppie Chef for R6490 and get it delivered right to your door. What more could you ask for… Well maybe the free gift with purchase, a KitchenAid Stand Mixer Ice Cream Attachment , worth R1,695. Trust me, it will take your baking to a whole new level.